Our NEO training system is qualified to meet the high requirements of the education and training of surgical procedures for newborns. 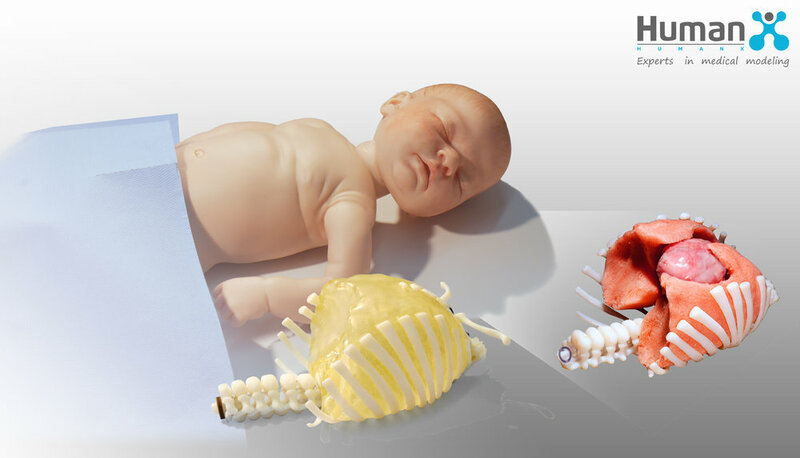 In addition to the bone structures, optional organ replicas or complex structures with different pathologies can be integrated into the training system. The models, which are realistically reproduced in shape, size and anatomy, are eminently suitable for the learning and training of minimally invasive procedures in the thoracic and abdominal area. Furthermore, the HumanX NEO training system enables the testing and presentation of new medical instruments in a patient independent environment.